On Monday morning, in his remarks to the opening session of the Utah Senate, Senate President Wayne Niederhauser drew attention to the fact that in 2020 we will be celebrating the 150th anniversary of a woman first voting in Utah. Niederhauser pointed out this 1870 election was the first place a woman voted anywhere in the United States and territories in the modern era. Quoting from Heber M. Wells, the first governor of Utah, Niederhauser confirmed the general feelings about the progressively engaged Utah women of the late 19th century: "Have women degenerated into low politicians, neglecting their homes and stifling the noblest emotions of womanhood? ... The plain facts are that in this State the influence of women in politics has been distinctly elevating. Experience has shown that women have voted their intelligent convictions. They understand the questions at issue and they vote conscientiously and fearlessly." Later on Monday, almost 10,000 women of Utah fulfilled Wells&apos; description from more than a hundred years before as they gathered at the state Capitol. They acted on a grand tradition of Utah women advocating for their broader sisterhood. "As [the women of Utah] have long exercised the right to think and act for themselves," claimed the first issue of the Woman&apos;s Exponent newspaper in 1872, "so they now claim the right to speak for themselves through the potent medium of the types." Over its 42-year-history, nearly a third of the Woman&apos;s Exponent editorials spoke directly to issues of the moment, including equal pay for men and women and social reforms around domestic safety for women. Women today exercise one of the most "potent mediums" of our democracy by gathering in person in an age of virtual isolation. While it may be tempting for lawmakers to see Monday&apos;s march as an antagonistic denunciation of their legal administration of the state, I suggest there is an elegant thread that connects Monday&apos;s two messages. Niederhauser evoked a history of trail-blazing women, and yet as he told the inspiring story of Utah&apos;s Martha Hughes Cannon becoming the first female state senator in the entire country, it was impossible to wonder why we barely have more female state senators today than we had at Cannon&apos;s time. In fact, Utah has the lowest representation of women in state government elected positions in the country. It is facts such as this, whether explicitly known or unconsciously felt, that drew such crowds to the Capitol on Monday. And it is the beauty of our heritage and our desire to do a better job living up to it that connect the legislative words inside the Capitol with the gathering outside. Monday&apos;s march made no specific policy-based demands, suffering from the same lack of focus all of last week&apos;s marches were criticized for. But this allows for a unique moment in which the forces inside the chambers and outside on the steps can pause and universally acknowledge that doing a better job living up to the beauty of our heritage is something we should work towards. As with a potter shaping a piece of pottery on a wheel with her hands, pressure from both the inside and the outside, providing a balanced tension, results in the most even and seamless result. "I believe in women, especially thinking women," said Emmeline B. Wells, one of the leaders of 19th century women&apos;s advocacy here in Utah. But she also bemoaned the division of women and leaders in Utah over the movements of her own time. "It will be &apos;diamond cut diamond,&apos; rest assured," she said in 1878 of the divisiveness that lay ahead. Whatever the conversations about women in the year ahead of us, inside or outside legal chambers, let us prove Wells wrong. Not diamond cutting diamond, but potter&apos;s hands working in balanced tension to strengthen the state we love. 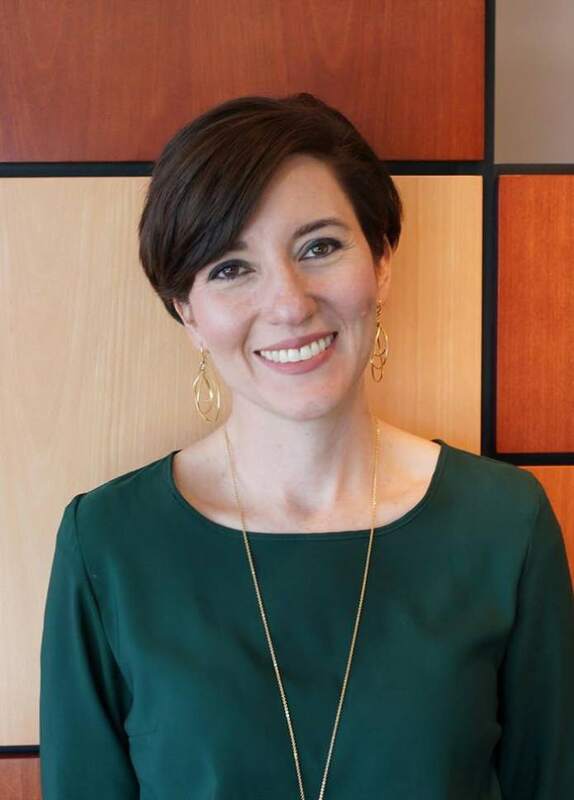 Neylan McBaine is CEO of Better Days, a nonprofit dedicated to popularizing Utah women&apos;s history to inspire conversations about the future, author of "Women at Church: Magnifying LDS Women&apos;s Local Impact" and the founder of the Mormon Women Project.